Absolutely a wonderful, breath taking wedding venue. It was like a dream come true and everything was so smooth for myself and also my guest. The staff was a joy to work with. With every penny!! This place has it all, its beautiful inside and out. The staff is amazing, and Oliva the coordinator was so helpful along every step of the way. We put a ton of detail into our wedding, and because of that and the venue so many people said it was the best wedding they had ever been to. Everything about the ceremony and reception was very classy. My husband and I knew from the first time we stepped onto the property that this was the place! Food is amazing as were the drinks. 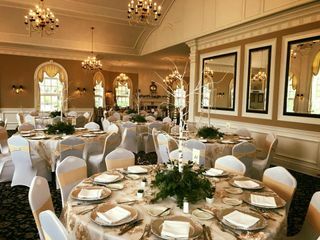 They really take care of your every need, and it was to be able to arrive early and have people come into the clubhouse to do hair and makeup and be served lunch and just relax before the ceremony!! Wish we could do it all over again!!! 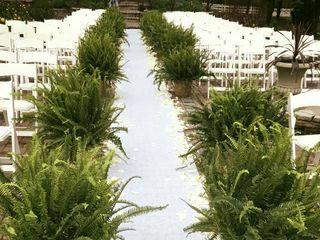 My husband and I had our wedding reception at the Wyndgate Country Club in April of 2012 and it was absolutely perfect. The staff; especially Olivia Thomas, were very helpful and accommodating to our wishes. The night went by flawlessly. The atmosphere, the location and the food was fabulous. I would highly recommend Wyndgate in the future. 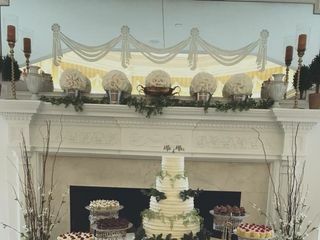 I was absolutely blown away with Wyndgate's commitment to make my wedding day absolutely exquisite. I can't say enough about the service of the staff. Wow. We also had the entire place to ourselves, a room for separate appetizers, etc. 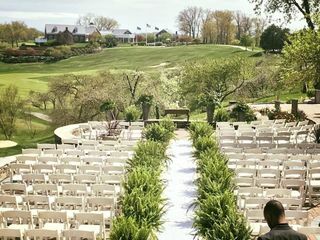 If you are anywhere in the Oakland County area, it's so worth your time to check out this venue. Our wedding was a dream come true at the Wyndgate. We were married in their garden overlooking one of the greens. The golf course and views are absolutely breathtaking. A great place to take pictures! The staff was more than accommodating and the food was unbelievable. 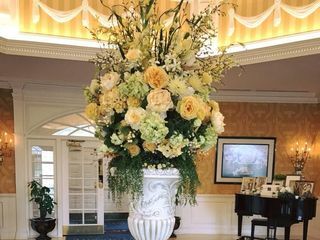 Out of all the places my husband and I searched for an outdoor wedding, the Wyndgate was the best priced for what we wanted and was the most delightful to work with. Highly recommended!! Thank you Katie!! You're family rocked it with their vision and made your reception beautiful as well! Thank you so much, and we hope to have you join us in the future for an event! 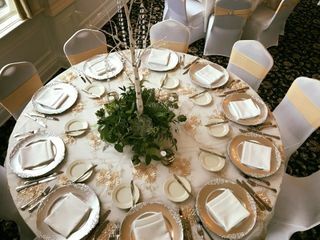 The Wyndgate is a perfect venue for both a wedding ceremony and reception! It was absolutely breathtaking. We would definitely recommend this venue to anyone.! 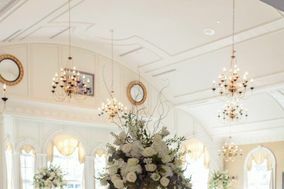 The Washington Room at the Wyndgate is absolutely elegant and beautiful. 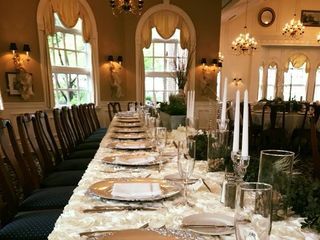 We had our daughter's bridal shower there, and the room was glowing with it's soft, butter yellow walls, tall ceilings, chandeliers and beautiful curved windows. It was the perfect venue. We had a 3 course gluten-free menu and everything was delicious! The chef even picked up GF rolls for our guests who have Celiac. Jordyn, the coordinator was very professional and accommodating. I gave the value a 4 star because, it wasn't the cheapest in menu and drink pricing, however you do get what you pay for. The compliments from the guests were outstanding. The passed drinks by staff came quite slow in the beginning, but when we mentioned that, they immediately stepped it up. I would highly recommend this venue!